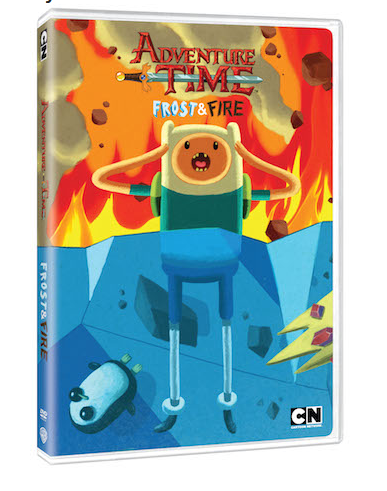 Adventure Time Frost & Fire DVD Available on DVD Today! My boys LOVE Adventure Time, and they said this DVD was awesome, and they love how many episodes are included! Check out the INDOOR Playground at Play Away Toy! Wouldn't it be nice not to worry whether your child is able to play due to the weather being too hot or too cold or too rainy? Move the colorful playground indoors for continuous hours of fun in the safety of your own home and during all four seasons. The playground fits in a small space so is perfect for use in apartments, homes, townhouses, condos, or in any limited play area. The Support Bar is easily suspended in a 29-inch to 36-inch doorway using just a few tools. This can also be used for chin ups and pull ups to build upper body strength. You can choose a Trapeze Bar that can be raised or lowered to desired heights, a One Seated Glider with hand grips and foot rests, a Teeter Totter that can be placed at eight different levels, a Baby Swing, a Net Swing, and/or a Strap Swing. This marvelous invention was born out of the dreams and visions of four brothers who designed what they wished they had when they were children. They carried their ideas forward to also include useful and award-winning educational products for autistic children, which became the Number One selling product line in the exceptional needs industry. Click here in order to visit our website and see pictures and descriptions of the various equipment and attachments.